The birth of a child should be met with joy, not fear. But when Patnaree entered the world with a stomach deformity, her mother Chernaypaw was terrified. How could she possibly access the medical treatment Patnaree so desperately required? The lead up to the birth of her third child was filled with uncertainty for Chernaypaw. During a routine scan, it was discovered that her unborn child had a stomach deformity. Will my baby be okay? Will I be able to take care of them? Chernaypaw wondered. On December 5th 2016, Chernaypaw gave birth to her frail little baby, a daughter named Patnaree. Upon her birth, it was discovered that Patnaree had gastroschisis. Gastroschisis—a birth defect where the baby’s intestines grow outside the body—can be dangerous if left untreated. Without the protection of the abdominal wall, intestines are left open to infection, which in some cases can be fatal. 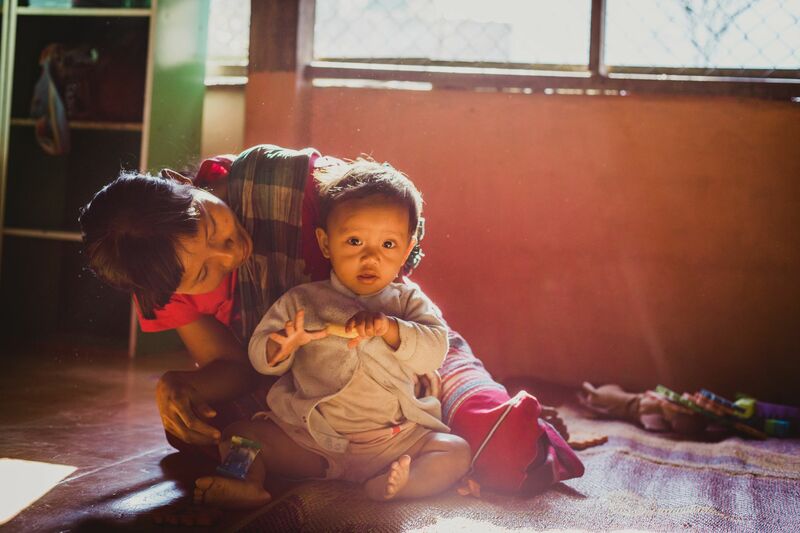 Recognizing the need for urgent attention, the local hospital where Patnaree was born transferred her to a bigger hospital in another province, which had surgeons and the surgical equipment required to correct the defect. Initially, panic surfaced within Chernaypaw. How will I pay for this treatment? Will they treat my Patnaree? Uncertainty hung in the air for one simple reason—Chernaypaw is Karen. 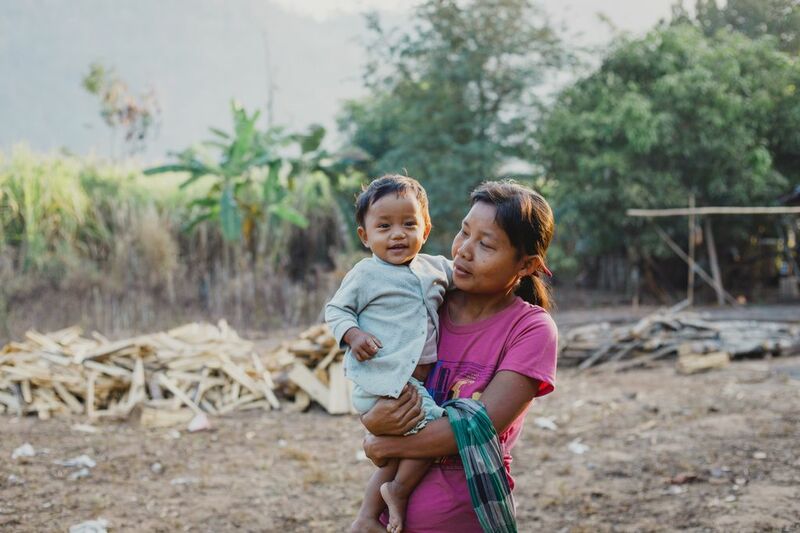 Today, it is estimated that as many as 10 million people around the world are stateless: the Karen people included among them. Without a nationality, these people are being denied basic human rights, such as access to medical treatment and education. Many cannot find employment, open a bank account, buy a house or legally get married. But Chernaypaw—and Patnaree—had a lifeline. During the final weeks of her pregnancy, Chernaypaw was registered into the local Compassion Survival program, run through the local church. And thankfully, the local staff was there to step in when Chernaypaw needed them most. 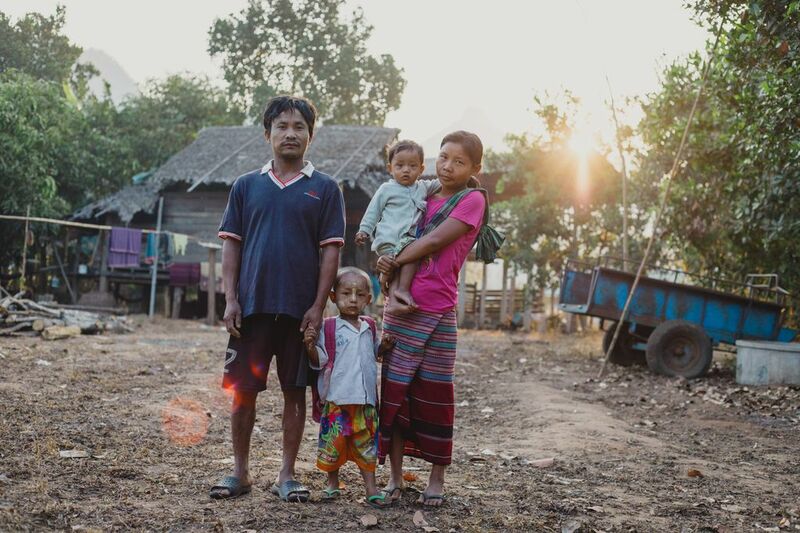 “Because of the problems due to their nationality as Karen people, [Chernaypaw and her husband, Augtaywin] will find it very difficult to get access to transportation, medications, and the documents that would allow them to be admitted to a hospital,” says Sopha Maturosangwn, project director of TH0806. While Chernaypaw and her husband, Augtaywin don’t have citizenship, they do have a record of identification allowing them to live in Thailand and access medical treatment. But, the problem for them is the same among many others in their situation: just because they have access, doesn’t mean it is made easy for them to access. Local Compassion staff were able to coordinate with Chernaypaw, the hospital and government officials to ensure Patnaree received the urgent treatment she required. “I went [to the hospital] on behalf of Chernaypaw and her husband, gave them a ride, made the necessary phone calls, and bought the needed medicines,” explains Sopha. Due to the nature of Patnaree’s condition and her ever-growing body, she required follow-up visits following surgery to ensure the incision was healing correctly and to address other medical needs. 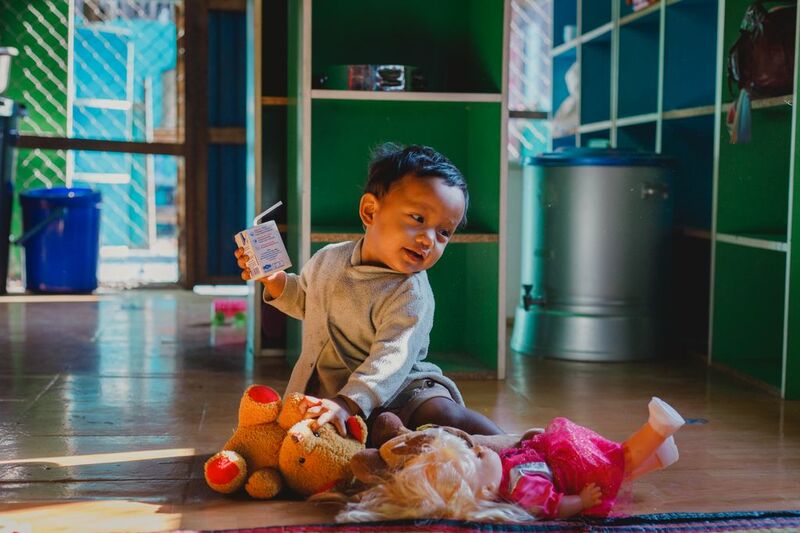 Because infants with gastroschisis can experience difficulties with nursing and eating, the digestion of food, and the absorption of nutrients, Patnaree will require long-term medical care. With the hospital a long distance from their home, Chernaypaw worried about how they would manage the ongoing travel, especially because Patnaree would likely have many appointments to attend. Before the worry could consume her, Chernaypaw’s fears were relieved. Compassion staff are committed to supporting Chernaypaw and Patnaree every step of the way. “We are just waiting for Patnaree to grow a little more and be stronger so that she can make the trip to the hospital,” says Sopha. In the meantime, the program continues to provide encouragement, prayer, medicine, food and milk for Patnaree. As she continues to grow, Patnaree may someday require additional surgery. But the fear is no longer there—the local church will be there to meet this need. Give today to help meet the most urgent needs of children like Patnaree in their fights against poverty. Note: this story was originally published by Compassion Australia, and adapted for Compassion Canada.